The D23 Expo 2019 is scheduled for August 23-25, 2019 at the Anaheim Convention Center and today we have details on the ticket prices and more. The 2019 Expo is the sixth biennial event that celebrates everything Disney from the theme parks to movies and beyond. Tickets for the D23 Expo 2019 go on sale August 23 and discounted single-day and multi-day tickets for D23 Expo 2019 will be available exclusively to D23 Gold Members. Also, Gold Members who buy their tickets between August 23 and November 20 will also receive Early Bird pricing. General admission tickets are $89 for a one-day adult admission and $69 for children. A three-day ticket is $177 with Early Bird pricing and $219 after November 20. All guests who purchase Expo tickets can also receive discounts on hotels and Disneyland Resort park tickets. There will also be a limited number of VIP Sorcerer Packages available to both D23 Gold and Gold Family Members at $2,500 per ticket. Details on the VIP Sorcerer Package are available online. 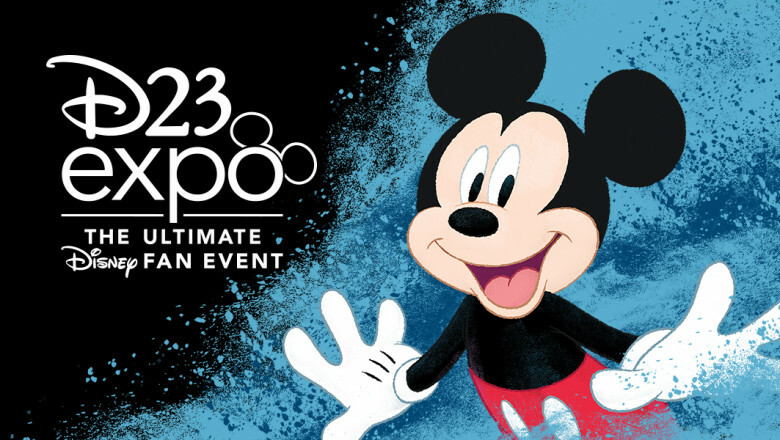 The D23 Expo 2019 will include: a show floor featuring “exhibits, shopping, and photo opportunities from all across Disney and its partners,” celebrity appearances, new Disney Legends, the Disney Archives, Talent Central, and more. And, the 2019 D23 Mousequerade costume contest will once again feature Yvette Nicole Brown and Ashley Eckstein as judges.